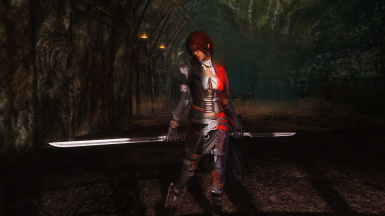 Integrates custom armor mods into the game: progress through armors like Northgirl, Dark Envoy, and Scarlet Dawn. UPDATE: I've finished the a new heavy skimpy edition under the name Legendary Armors. You can find it here. Also, I'm planning to add at least one more armor for the player to start out with - the player should be able to start the game with enough gold to buy the mats from the nearest blacksmith and craft it right away. I might add more later (I've discovered a few more light immersive armors that are too good to leave out:). Purpose of the mod: Incorporating Skyrim's best custom armor mods into the game. In most RPG's, progression rewards the player with cooler and cooler armor sets. Getting the new sets feels rewarding, but not in Skyrim. The sets just don't look good, especially on female characters. Custom armor sets look spectacular, but they aren't integrated into the game like the vanilla sets, so using them takes you away from the gameplay. 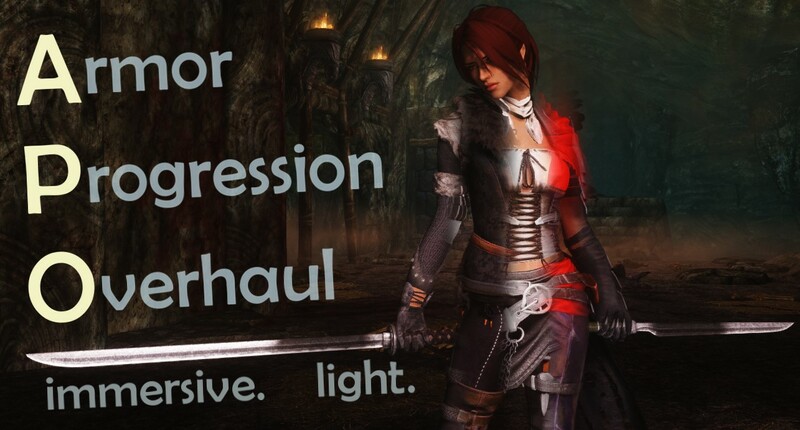 This mod takes some of the best armor mods out there and adjusts stats and crafting so they become a central part of progression in the game. Instead of progressing from Hide to Leather to Elven, you'll progress naturally from Northgirl to Dark Envoy to Scarlet Dawn. You'll start the game with a vanilla armor, and the first set you'll craft is Yennifer. It's hard to craft them, you'll notice. I didn't want the player to be able to craft the last armor set by level 15, so the last set will require 2 daedric hearts along with some other challenging items that will require the player to hunt around the world. I wanted the progression to take the player to new places as well as feel rewarding when they can finally craft it. 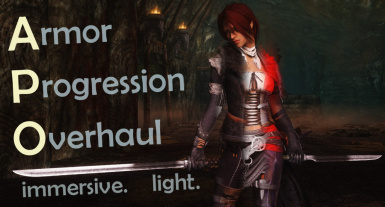 In order, you'll progress from vanilla, to Yennifer, to Rogue HD, to Northgirl, to Dark Envoy, to Scarlet Dawn. The harder to craft, the more armor and less weight the armor will have. I chose these armors because they fit well together and work well as an immersive progression of a light-armor focused female character. The default body mesh for all the armors is UNP, but the mod is compatible with any body. I'm asking the author of each armor set for permission to combine all the assets I use in the mod into a single file rather than making the users download each one individually. Some of the armor will be included, but you'll be notified of the ones you need to download separately. For those authors who have allowed me to include the assets into this mod, please go endorse their great work and reward their generosity. - You're the Dragonborn, you should be able to pay NPCs to craft and enchant the gear for you. I've merged the esp's from all the armors into one (APOLI.esp), so the only other thing you'll need is the mesh and texture files for the armors. Because of this, you can use any body conversion or retexture you want, just replace the meshes or texture files. When you download the Northgirl armor mod, make sure you disable the esp because it will conflict with this mod. I'm dividing these mods into 9 basically because Nexus doesn't give nearly as much notice to users for updates as new files. Files that start small and grow slowly tend to get buried on the Nexus. When I finish, I think I'll consolidate the 9 separate mods into one and add a significant new feature. So at some point this will turn into one massive mod with like 10+ main files. Although the armor is crafted, your character doesn't need to choose crafting as a profession (I've removed any sort of talent requirement from any of the armors for this reason).